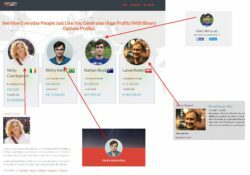 In this review we prove that “Binary Options ProBot” is a scam. In the BinaryOptionsProBot presentation you can hear that this trading robot has been built by a team of professionals with a 10 year experience in trading. The robot is based on six indicators and allegedly uses the same strategies as hedge funds. It should have a 60 – 80 % win ratio and the results are allegedly verified. The real purpose of Binary Options ProBot is to make you deposit money with a selected broker, because it will earn an affiliate commission to scammers that are behind this project. In the video they say that you just have to sign up with one of their brokers and you will be given a free demo, but it is a lie. You are not given a choice nor a demo. We were forced to the unregulated broker Option XO with no demo option whatsoever. 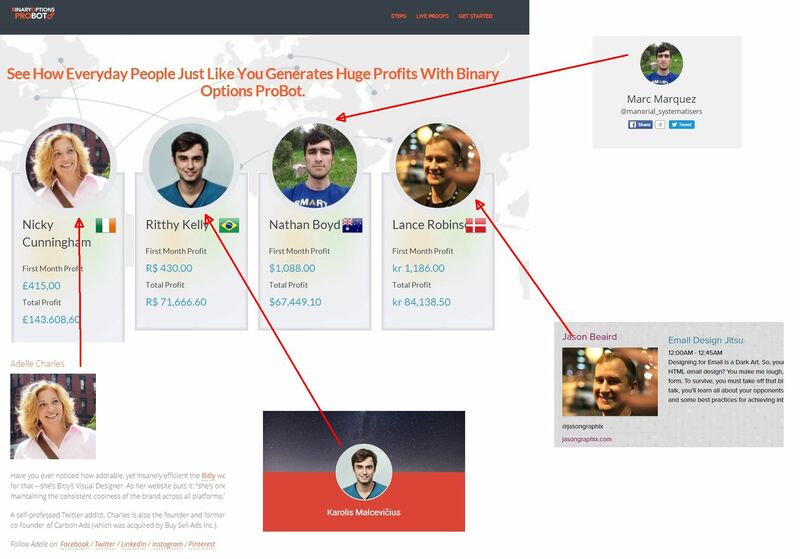 On the Binary Options ProBot you can see testimonials, people are endorsing this program saying how much money they have made it with. But it is fake. Look at the image on the right, these photos were stolen and belong to somebody else. The stories and numbers are complete fiction. But the main proof is in the trading robot, it is far from a unique software put together by a team of experts, it is an app designed and used by scammers only. We’ve seen it used by countless binary options scams, lately for example by Quantum Code or Profit Protection, see the proof on the image. This software is losing money, it has no real profitable strategy. BinaryOptionsProBot is an ordinary scam that will lose your money if you sign up for it. So we recommend you to stay away. 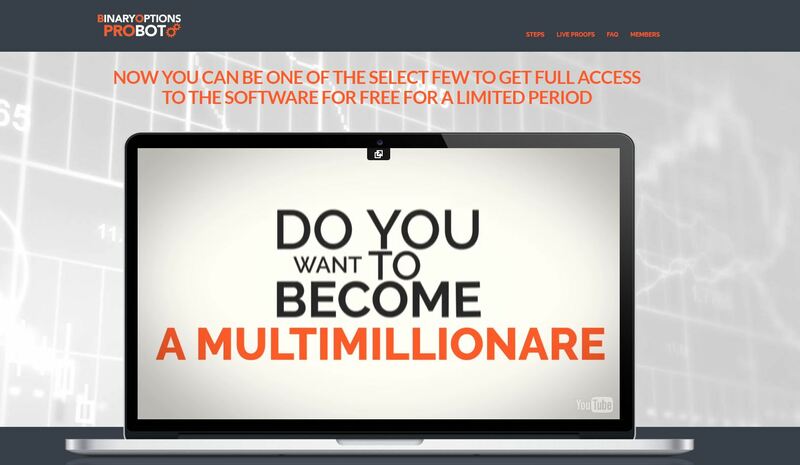 If you really want to try binary options on a free demo, you can. It is the best way to learn trading and to build a real strategy that will make you real money in trading.